Bankruptcy and SSDI: Will I Lose My Disability Income? Americans who have worked long enough and paid Social Security taxes have a safety net in place if they happen to become disabled and can no longer work. Having paid into the system entitles all (previously or currently) employed workers to apply for disability benefits if the need arises. If you are someone who is currently receiving Social Security Disability Insurance payments, you’ve probably had mixed emotions about your situation. 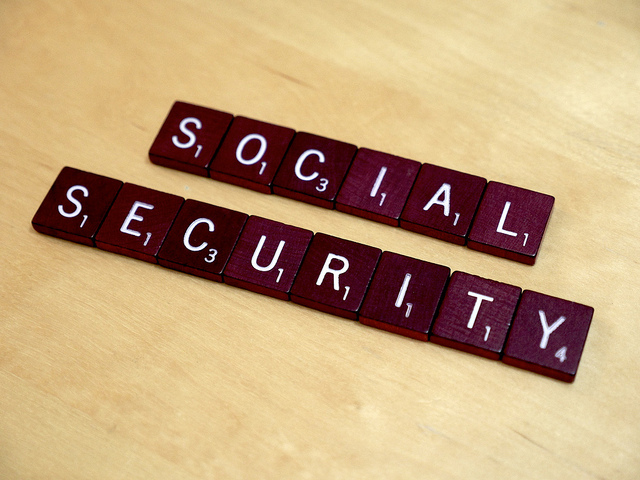 Naturally, Social Security payments can be quite a relief to anyone afflicted with a chronic, life-altering illness. However, no longer able to perform duties that previously allowed you to work a paying job, it’s easy to become worried about whether you’ll be able to pay your bills. Although Social Security Disability Insurance payments are helpful, most people receive a fraction of what they were previously earning. If you are approved to receive disability insurance payments, the amount you receive is not based on how severe your disability is or how much money you were making when you became disabled. The Social Security Administration averages how much income you paid Social Security taxes on in the past – over many years. They then apply a formula to this average, using percentages called ‘bend points.’ Ultimately, your payments will be a percentage of what you earned throughout your working years. Most Social Security Disability Insurance payments range from $300 – $2,200/month. In 2014, the maximum disability benefit amount was $2,642/month. This leaves many people receiving significantly less ‘income’ than they were while working, and can eventually lead to a financial crisis. Previously, paying all of your monthly bills may have been a walk in the park, but if your income was suddenly cut in half or lower, you may quickly start struggling. You may find that it’s barely possible to pay your utility bills, mortgage, minimum credit card payments, and more. We’ve met with several disabled clients who found themselves in similar situations – not wanting to lose their homes or the ability to properly support their families, they were up in arms about what to do next. Afraid that they would lose their back payments or ongoing Social Security Disability benefits, they were hesitant to file for bankruptcy. If I File for Bankruptcy, Will I Lose My Disability Income? You’ll be happy to learn that SSDI payments (including lump sums or back payments) are always exempt in Chapter 7 and Chapter 13 Bankruptcy proceedings.¹ If you are receiving SSI (Supplemental Security Income) payments, they are also exempt due to the strict rules about how that money can be used by recipients. In both cases, lump sum payments may have to be tracked in order to prove that they were indeed Social Security benefit payments. If you receive private, state or other disability payments (NOT from the Social Security Administration), a certain amount of those payments will also likely be protected in a bankruptcy case. Filing for bankruptcy while receiving disability payments IS POSSIBLE. You will not lose your only source of income. To learn more, please schedule a FREE consultation with my office today (732) 695-3303. We can help you wipe out many of your debts so that living on a fixed income is possible. 3 Responses to Bankruptcy and SSDI: Will I Lose My Disability Income?